The place to talk about your Tandem! 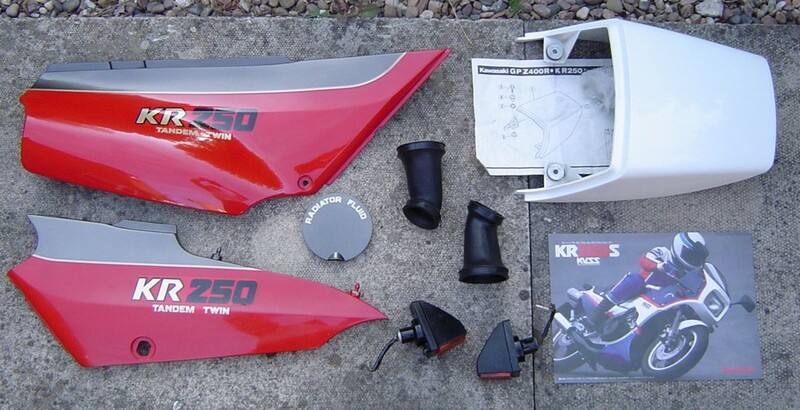 Anybody in the west try to buy parts from Japan? neat site however the brake master cylinder rebuild photo shows the cylinder internals incorrect, the seal on the spring should be between the piston and the spring. just a little small detail, I know , I would get a hold of the site owner to let him know but I don't speak or type Japanese! Are you sure that yours (in the photo is assembled correctly) as the part is common to lots of models and they all show it assembled as per the diagram. It is that long since I refurbished mine that I can't remember what it looked like, I know that I would have reassembled it exactly as it came apart, I will try and see if I took any photos. the photo is from the website showing the assembly wrong, I assembled mine like per the diagram with the rubber between the spring and the piston. I sat up all night trying figure out what was the purpose of the little rubber thingie ( I don't think its a seal) . I think its simply a rubber guide to capture the spring so its piston end does not slide over and start scoring the cylinder bore. pepsi wrote: Anybody in the west try to buy parts from Japan? Done it loads of times, never had any problems. I used FromJapan (not recently) but many other middleman services are available now. Suzuki GSX-R750RK & RB50 Gag. 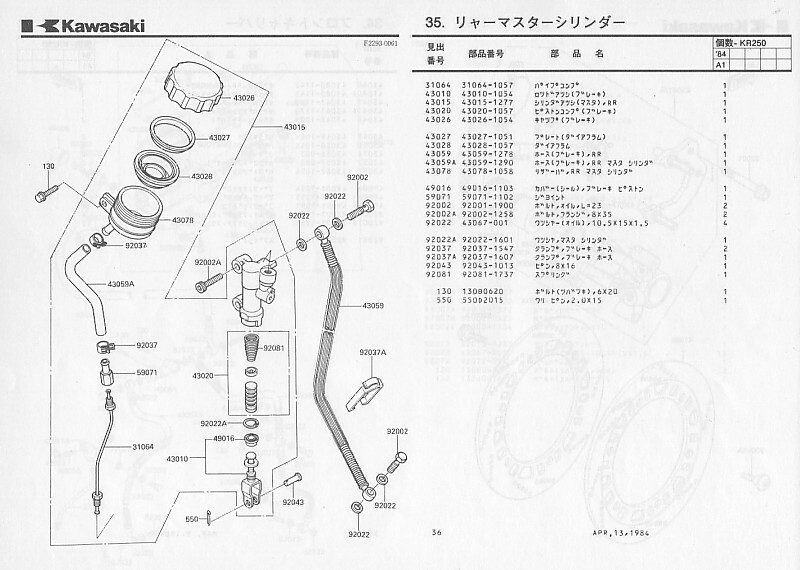 anybody knows the part number of the zxr400 clutch cable that could replace the kr250 clutch cable 54011-1221 .
the link mentioned http://motor.geocities.jp/tetsuma3ya/kr250_cable.html is dead . There is no mention of "clutch cable" anywhere on http://motor.geocities.jp/tetsuma3ya . the Problem is that there are several clutch cable part numbers for the zxr400 , depending on the year .